The hottest item from the Winter-Edition of the Simply Beautiful #editorsbox is here! 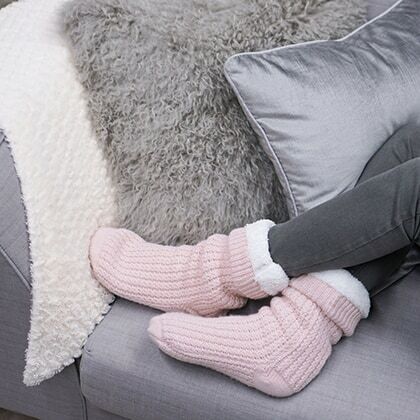 The ultimate in coziness, these gorgeous twist knit, fleece-lined slipper socks are like a blanket for your feet. Grab a magazine and snuggle up fireside in pure comfort. 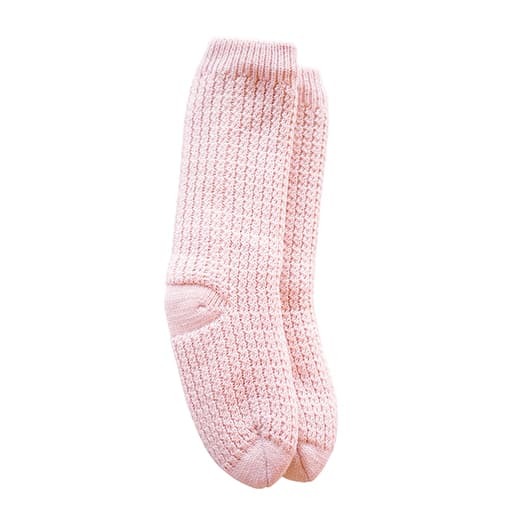 For those who are always chilly, these socks are great to wear even while sleeping on cold winter nights. One warning: if you're getting these for yourself, you better stash them in a safe place or someone else in your household is sure to steal them. We only have a very limited amount available! To make things even better, the shipping is on us. 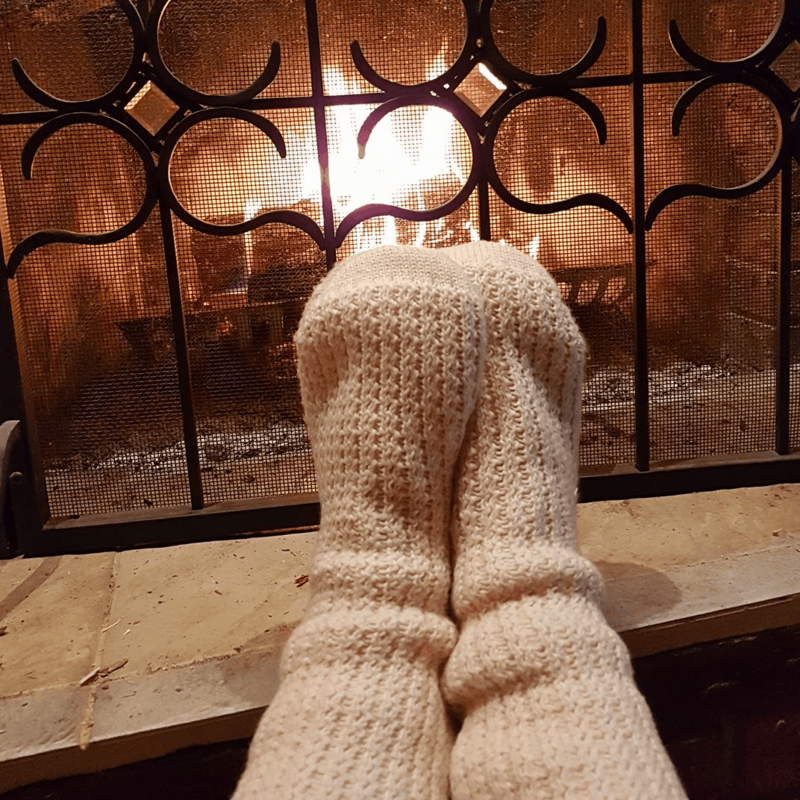 Do you have a web link for those gorgeous slipper socks? I'd love to purchase some more! My daughter just stole mine!!! As soon as I got those slippers, I needed to buy more for a Christmas gift. I bought four pairs!!! I'd Like To Make You A One Time Special Offer Available Right Now Only! 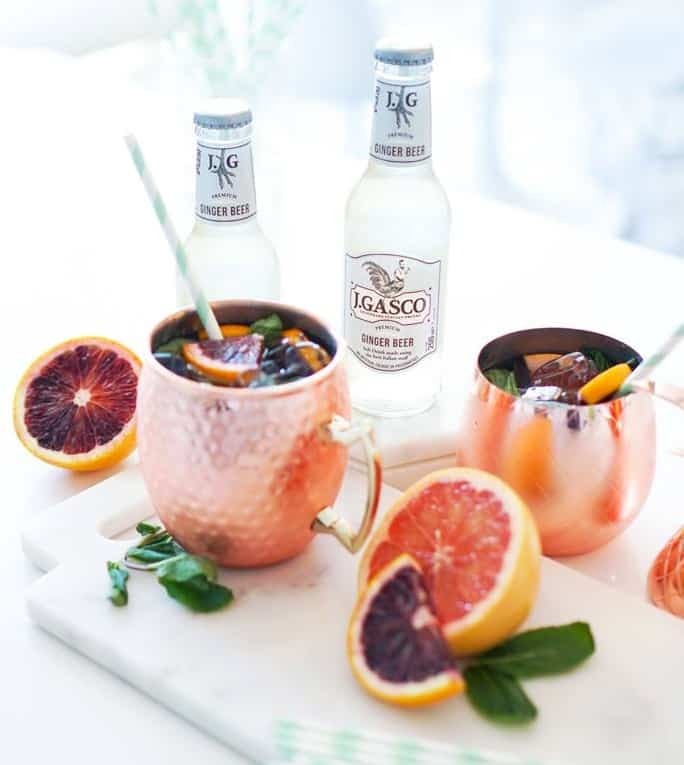 Get a FOUR pack of the Blush Peony Moscow Mule mugs for 15% OFF! We were able to bring in more of the famous Moscow Mule mugs that were such a hit in the first Simply Beautiful #editorsbox. These hammered copper coloured steel mugs keep your drinks colder longer while adding an extra touch of class. When we first re-released these mugs they sold out within a day.